OK, now that that’s out of the way. Did you catch those last few words? “I only know one truth: It’s time for the Jedi… to end,” utters bearded Luke as he exits his mysterious cave somewhere in either Scotland or New Zealand where he’s been hiding out angst-ing for a decade or so. Emo Cave Luke is right. Now, some of the Star Wars faithful will conjure up some dimestore Buddhism to talk about balance, where eliminating the ‘good’ will help the Force even out the ‘bad,’ but when has that EVER worked? No, my argument is different. I argue that there are no good guys in the Jedi-Sith wars. I, like most of you, am a non-force wielder. In the Star Wars universe (with the exception of Zahn’s Thrawn series), I’d go about my pointless existence waiting for the next chapter of the Jedi-Sith war to wipe me out. I’m glad Luke is coming around to this idea. And who better to have this perspective than Skywalker? The Force and its wielders have brought generations of pain to his family. From his father’s immaculate conception (The Midi-chlorians… ugh), initial rejection from indoctrination, and eventual betrayal, to Luke’s daddy issues, and eventually to the strife in the Skywalker-Solo family. It wouldn’t be as cute if those lightsabers were AK-47s. If you can look past the horrific CGI and pretend Jar Jar doesn’t exist (Google “The Phantom Edit”), you’ll learn a thing or two from Ep. I. First: Not only do the Jedi separate children from their parents at an early age to train them as warriors, but a child as obviously talented as Anakin Skywalker was too risky to train because of his age. He was, what, 7? 9? The reason is obvious: He’s too old to blindly accept their extremist religious views. We see it through the next two movies where he constantly questions their draconian rules. It makes you wonder why the “bad” guys (Sith) are ok with love and affection, but the “good” guys are obsessed with chastity and detachment from, well, humanity. In Ep. III, we see a grown-up-Anakin go all voom-zim-zoom at the Jedi temple, killing everyone at the behest of his new master, Chancellor Palpatine/Darth Sidious. Who does he save for last? The “Younglings.” Jesus, they even have a playful name for the children they’ve kidnapped from around the galaxy and pressed into military service. How is this any different from the Galactic Empire’s conscription tactics following the clone wars? We got a deeper look into The First Order’s childhood conscription tactics with Finn, FKA FN-2187. Are we to believe that it’s ok for the cult of the Jedi to recruit child soldiers, but it’s totally a no-no for the fascists to do it? I’m going to side with the U.N. on this one – abducting children and pressing them into service as child soldiers is always wrong, no matter who you are. The Jedi are an unaccountable religious cult. The Sith are just much, much worse. Why were they afraid Anakin was too old? Why remove children from parents and start training so young? It’s because you plan to indoctrinate them with some ridiculous religious view of the galaxy that puts your side chiefly on the side of “good” and, based on that moral authority, you are able to influence and undermine the galactic democracy. The main difference between the Sith and Jedi in dealing with planetary/galactic governments really boils down to the methods of control they use. The Jedi prefer subterfuge and working from the shadows, while the Sith will gleefully murder anyone who stands in their way. Or anyone who pisses them off, really. That means the Jedi killed all but two Sith, and the Sith decided they were cool with it. Damn, that’s cold. And don’t get me wrong, the Sith are awful, awful dudes (yes, it’s almost all dudes in the “Legends” books, too.) Beyond blowing up Alderaan for fun, they’ve been terrorizing the galaxy for tens of thousands of years. Really, ever since the fallen Jedi started crowding out the Sith species from leading the Sith, they went from force-wielding fascists to murderous harbingers of death. Freedon Nad, Exar Kun and many others drew streaks of murderous terror through sectors of the Star Wars galaxy. At least they did before Disney came and wiped them out. The commitment to democracy is weak with this one. 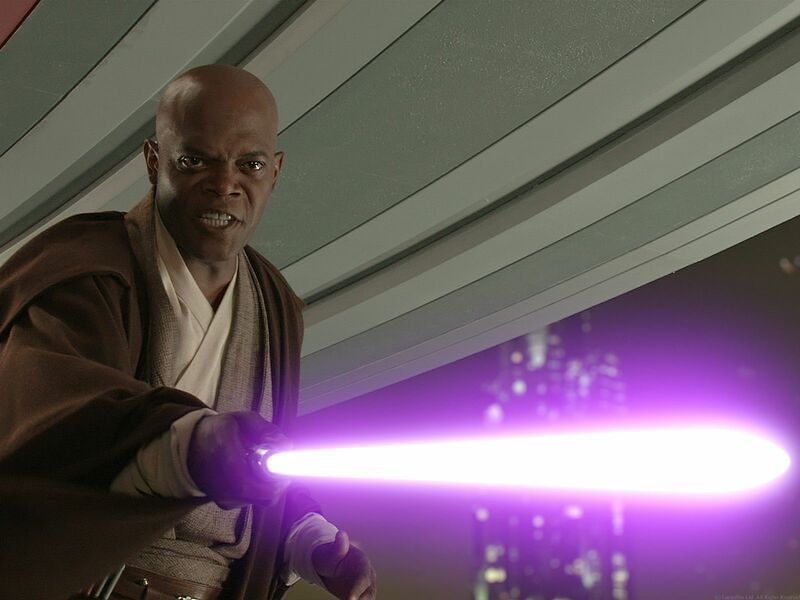 Don’t get me wrong, I loved Samuel L. Jackson as Mace Windu. He was a total badass, especially in those lightsaber battles. But he was also a puritanical zealot who was one of the first to alienate Anakin, leading him to the dark side, and then Mace decided to take it into his own hands to assassinate a duly elected leader. If you have a corrupt leader thirsty for power who uses foreign crises as a distraction from his power-grab, maybe you should… oh, I don’t know… TRY HARDER IN THE MIDTERM ELECTIONS. The Jedi order is around for 10,000 years and doesn’t lose an election once? Please. They should know better, right? Wise and whatnot? Maybe Mace Windu skipped his Poli Sci classes? History classes, too? Now, if your 10,000+ year old democracy does manage to elect a Sith as its chancellor, attempting to assassinate him/her is the LAST thing you should do. Think of the chaos, the power struggle and the scandal of a religious cult leader killing an elected official. Seriously, what would the world look like if the Archbishop of Canterbury assassinated the Queen, or the Pope took out Paolo Gentiloni? But forget all of that, here comes good ‘ol wise and powerful Jedi Master Mace, lightsaber in tow, trying to bring his own brand of justice at the hot end of a lightsaber. What’s worse is that this wasn’t a heat-of-the-moment exchange. This was the plan. THE JEDI PLAN. Message to the Jedi: Sometimes democracies make mistakes. Sometimes they leave the EU. Sometimes they elect a Sith Lord. At all times, it’s better to live in a troubled democracy than a failed theocratic state – no matter whether it’s the “good” theocrats or the “bad” theocrats. Are you effing kidding me?! Who wants to be around people who can basically make you do whatever they want and have no problem doing it. There were plenty of better options for Obi Wan to take, but he took the most expedient route. He could have hid the droids – and the teenager he just procured – before going into the bar. Seriously, who brings a 17 year old farm kid into a bar like that? But no. He takes the more brazen course because he knows he can lie his way through it. He knows this because he and his former student, Anakin, have gotten out of many problems with this tool. Remember when Qui-Gon Jin tried to use the mind trick on Watto, the flying thing from Ep. I? It didn’t work, “I’m a Tridarian, Mind Trick don’t-a work on me,” he said. It’s because he knew only a Jedi would go around making such unreasonable demands (from his point of view) and expect people to comply. I get it. The Death Star was a very bad, terrible, terrible thing. It blew up Alderaan and was about to cook the entire Rebel Alliance on Yavin IV. But it also had a TON of people on it. Imagine how many people you could fit into battle station the size of a small moon if the entire thing was made of decks holding people. Just imagine it for a second. And then imagine all of those people suddenly crying out in pain, only to be suddenly silenced. That’s what Luke used the Force to do. Trained by a Jedi for only a few days, he used those powers to blow all of those people to smithereens… and then he cheered about it. Ice cold, Luke. I’m not mad at you for the bombs, I just wish you’d take a second to consider the innocent waste facilities director whose family will never see him again. Or worse, consider his family – who were also likely onboard and substantially less-evil. I can imagine that his conscience weighed on him as he aged. And that’s what we’re seeing here – a battle weary former Jedi who was shown the path toward redemption, and redemption must include an end to the cycle of galaxy-wide religious wars.